Bestowed Essentials is a rapidly growing business focused on providing ethical + eco-friendly home goods to help our customers reduce their trash + their impact on the planet. In addition to a curated online marketplace, we recently opened our first brick+mortar store in Rapid City, South Dakota! As a company, we aim to produce less than 10 lbs of landfill trash per month, and we also partner with the non-profit Ocean Blue Project to remove one pound of trash from American beaches for every order placed on our website. 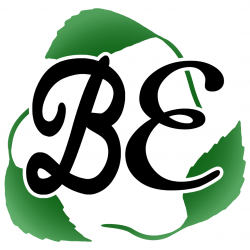 All Bestowed Essentials products are plastic-free and zero waste. Our packaging, if any, is recyclable or compostable, and customers are encouraged to reuse containers before they are recycled. The Bestowed Essentials line is also certified vegan + cruelty-free by PETA. We're looking for someone who's passionate about making a difference in this world to assist us with local events in Rapid City, SD. We're committed to providing employees with the resources + opportunities they need to live an earth-conscious lifestyle, along with a career that aligns with their core values. able to talk at length about sustainable living, plastic pollution, how to reduce waste, etc. Is passionate about saving the planet! No direct job experience required, but some experience in customer service and/or sales is required. Position is $11/hr. Work days may be sporadic, depending on when we have events scheduled. You will always be informed of events at least 30 days in advance. To apply for this position, please submit your resume + include your answers to the following questions: - Why do you want to work with Bestowed Essentials? - What does a "zero waste lifestyle" mean to you? - In what ways do you strive to lower your impact on the planet? - Are you able to fulfill all the responsibilities and meet all the requirements listed in the job posting? If no, please explain. Failure to send the requested information will result in your application being automatically deleted without follow-up. Applications accepted until April 21st, 2019. Bestowed Essentials is a rapidly growing business focused on providing ethical + eco-friendly home goods to help our customers reduce their trash + their impact on the planet. In addition to a curated online marketplace, we recently opened our first brick+mortar store in Rapid City, South Dakota! As a company, we aim to produce less than 10 lbs of landfill trash per month, and we also partner with the non-profit Ocean Blue Project to remove one pound of trash from global beaches for every order placed on our website. All Bestowed Essentials products are plastic-free and zero waste. Our packaging, if any, is recyclable or compostable, and customers are encouraged to reuse containers before they are recycled. The Bestowed Essentials line is also certified vegan + cruelty-free by PETA.